Everyone deserves to feel safe in their own community. 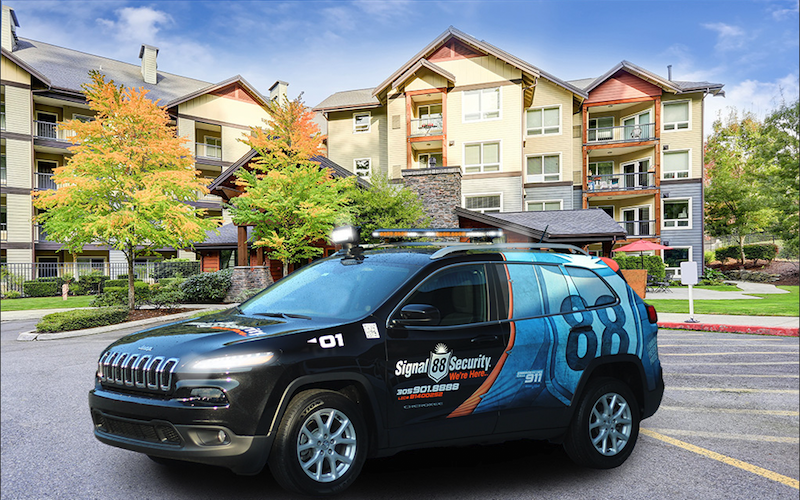 At Signal 88 of Rancho Cucamonga, neighborhood security in Ontario, CA, and its surrounding communities is always one of our biggest concerns. If you’re part of a homeowner’s association (HOA) in Ontario, Rancho Cucamonga, Rialto, Fontana, Colton, or elsewhere in the region, it’s a concern you’re sure to be familiar with. These days, options for neighborhood security in Ontario are wide-ranging, but generally come down to a handful of popular options. If your HOA is currently rethinking its approach to safety and security, you’ll want to be familiar with the pros and cons of each. Below, we’ve included a run-down of key points regarding three popular options for neighborhood security in Ontario and nearby communities. PROS: Continuous monitoring and minimal ongoing costs. CONS: Minimal security benefits. Initial costs often expensive. CCTV systems remain one of the more popular options for neighborhood security in Ontario. Unfortunately, this is in spite of the fact that these systems are largely ineffective. Criminals are rarely deterred by CCTV cameras. Law enforcement may benefit from CCTV footage if they want to investigate criminal acts, but it is rare that CCTV cameras actually deter criminals from committing these acts in the first place. PROS: Low-cost, volunteer system with proven deterrence benefits. CONS: Significant time investment and less effective than professional security. When it comes to neighborhood security — in Ontario and pretty much anywhere else in America — there’s no option more popular than a neighborhood watch. If your neighborhood can invest time more easily than money, than a neighborhood watch program can be an effective deterrent on crime. Studies have found criminal activity is roughly 15% lower with the implementation of a neighborhood watch program. PROS: Highest level of deterrence available with the advantages of professional systems. CONS: Typically pricier than other options, though costs remain flexible. Professional neighborhood security services are playing a bigger and bigger role in communities like Ontario and Rancho Cucamonga. That’s little surprise, given the increased concern over neighborhood safety in recent years. The most popular form of professional neighborhood security is mobile patrol security, which offers highly visible randomized patrols to deter criminal activity. While typically more expensive than other options, mobile patrol services offer flexible scheduling and pricing that make this type of security much more affordable than many people initially think. Call Signal 88 of Rancho Cucamonga today at (877) 522-5588 x102 for more information on our neighborhood security services.